Conference Rental Ranks as One of the Fastest Growing Private Companies in the Bay Area. The Francisco Business Times listed Conference Rental as #27 Fastest Growing Private Company in the Bay Area. The company – focusing on technology solutions and services for multilingual events – grew 220% from 2013 to 2015. 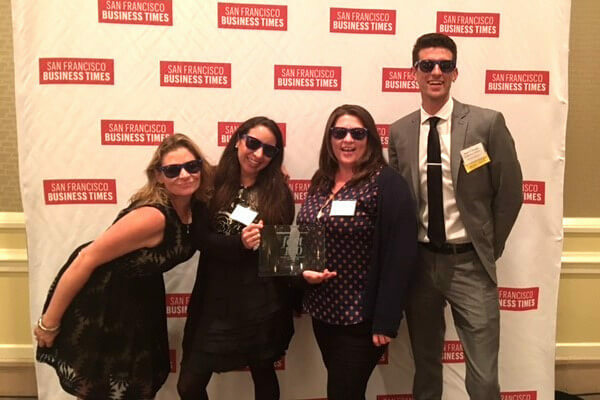 On October 13, 2016, the San Francisco Business Times hosted the Top 100 Award Ceremony and Conference Rental was proud to learn it’s ranking. “The Bay Area is the cradle of startups and innovation, to have ranked in the top 30 of this regional list is a tremendous achievement!”, says Fardad Zabetian, CEO of Conference Rental, “Our team is feeling recognized and energized to keep on delivering impeccable event solutions and looking to further expand internationally”. Conference Rental provides conference microphone systems and simultaneous interpreting solutions for a wide range of events including seminars, corporate annual meetings, and large international congresses. Most recently, Conference Rental supplied equipment and support for two global forums on clean energy and environmental conservation hosted in San Francisco and Hawaii for up to 10,000 attendees and 6 simultaneous languages including the implementation of advanced technical capabilities such as video tracking, electronic voting, and remote interpreting. “In addition to our Bay Area headquarters, we now have additional four offices and equipment warehouses across North America and Europe including Washington DC, New York City, Paris and Brussels” says Andrew Murphy, Director of Rental Operations, “From there, we have supported events all across the globe including in Mexico, Peru and Singapore”. The language services and technology market is experiencing fast growth. With the largest inventory of turn-key solutions in conferencing and simultaneous interpretation systems, as well as an enthusiastic team with many years of experience in the audiovisual and language services industry, Conference Rental is well positioned to keep expanding. Each year the San Francisco Business Times partners with a local accounting firm to determine the 100 Fastest Growing Private companies in the Bay Area. The ranking is based upon percentage of revenue increase over a three-year period and uncovers the region’s highest growth companies. To qualify, all companies must be independent and private entities, headquartered in the Bay Area. Complete results of the Fast 100 awards can be found at The Fast 100 awards presented by the Business Times.